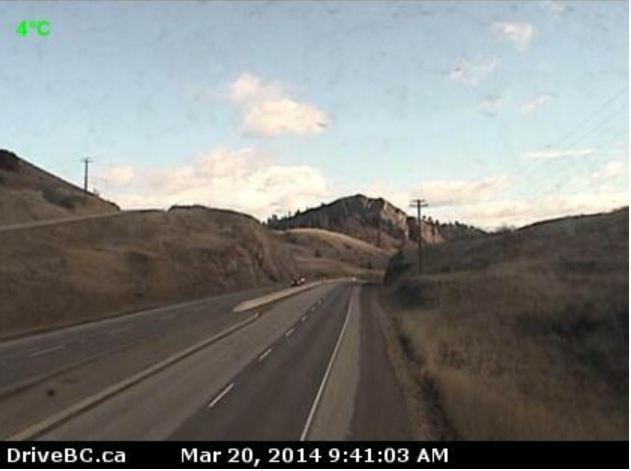 While today marks the official arrival of spring, a quick glimpse around our beautiful province through the eyes of DriveBC HighwayCams reveals many different kinds of roads to be travelled – all depending on your location. 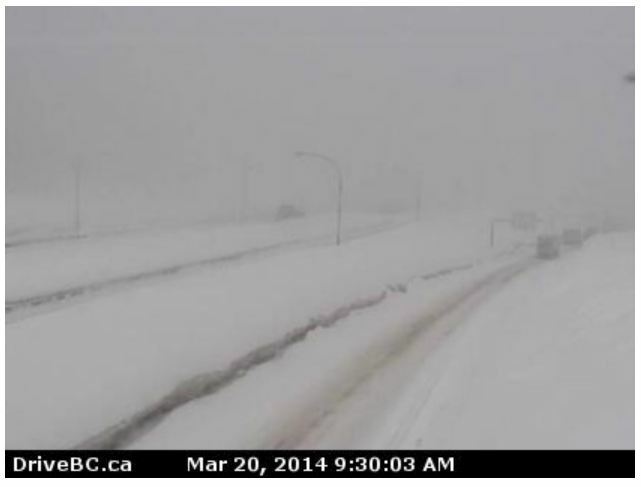 Spring does not treat all B.C. drivers equally. After all, it’s a transition period, and weather conditions can bring a little bit of everything. No matter where you live, it’s important to be aware of the road ahead and prepare accordingly. 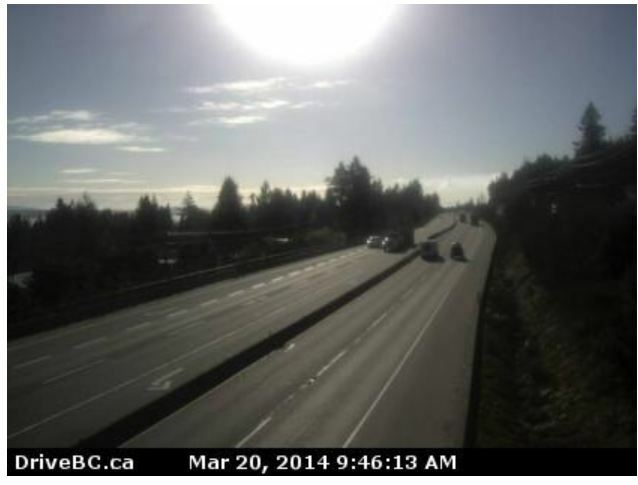 As expected, BC Highway 1 on Vancouver Island near Ladysmith found itself revelling in sunshine and clear roads. Lucky ducks! 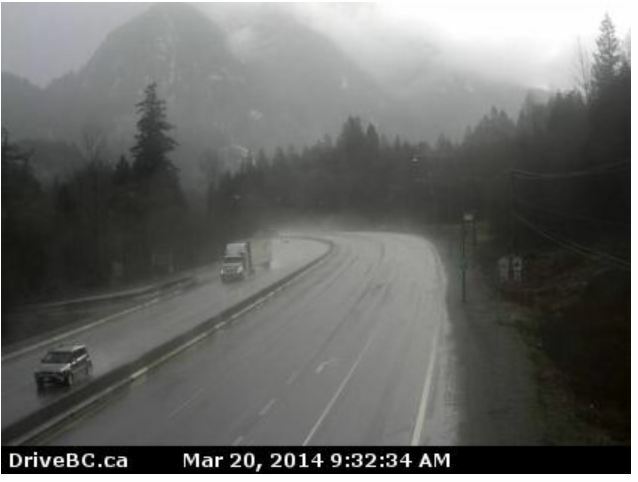 Moving across the water and into the Fraser Valley near Hope, it’s wet. And foggy. And grey. Meh. 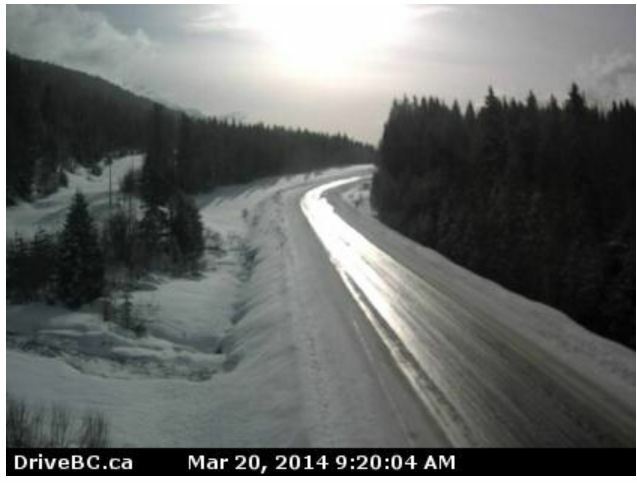 If you decided to take Highway 1 instead of Highway 5 (the Coquihalla) back at Hope, here is what you would have found. A lovely drive through the dry semi-arid desert. Go figure. 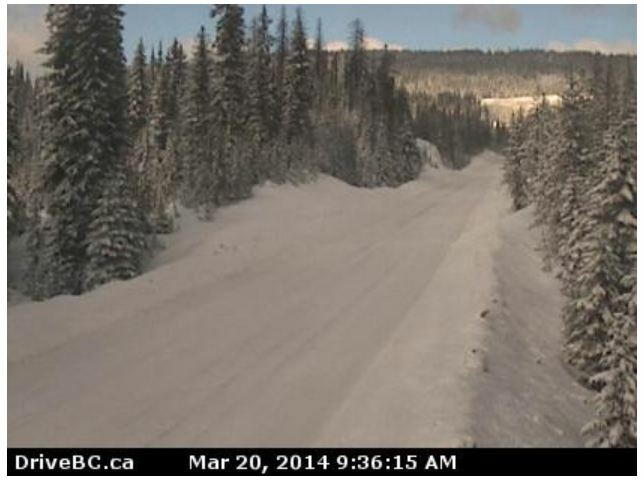 Further north in the province, near Red Pass, conditions are snowy. Nice to see that sunshine break though! But that snow is nothing to what you will find at the top of Paulson Summit on BC Highway 3 in the Interior of the province. Santa? Is that you? Feeling too chilly? Don’t worry, just head north a bit and you will find yourself basking in the clear skies and desert sands of Kalamalka Lake, near Vernon. 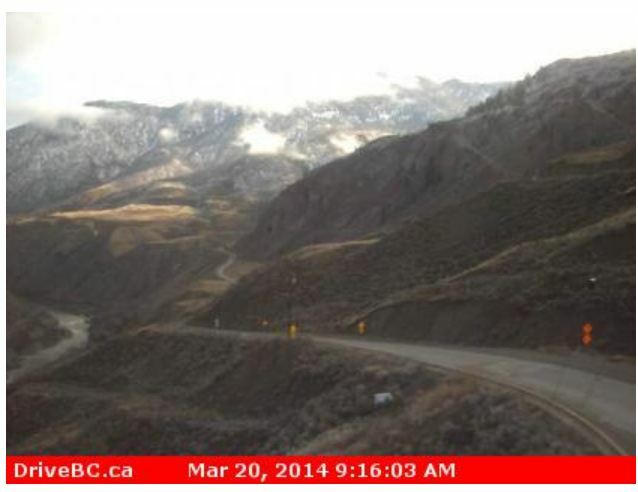 As you can see, weather differs drastically around B.C., and it can also change in an instant, especially when travelling mountain passes. To give you an idea just how diverse our weather and road conditions are, we selected a few webcam images from yesterday. Let it be a reminder to be ready for anything, even when the calendar suggests otherwise. What webcams do you monitor the most? How’s the weather?